From looking at air pollution exposure to exploring the effect of doctor-patient service agreements in Chinese community health service centers, the Global Health Institute (GHI) at the University of Wisconsin-Madison funded 16 projects dedicated to improving health and well-being for people, animals and the planet. This year, GHI awarded two Faculty and Staff Travel Awards, eight Graduate Student Research Awards and five Visiting Scholar Awards. 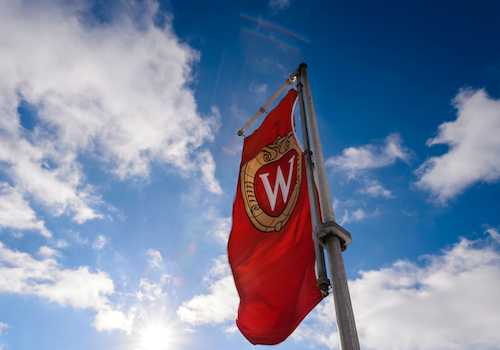 The grant recipients come from seven different schools on campus, including the Schools of Education, Veterinary Medicine and Medicine and Public Health. For the first time, GHI also awarded the Henry Anderson III Graduate Research Award in Environmental, Occupational and Public Health that supports graduate students pursuing research in those areas. The Graduate Research Award will allow David Abel to broaden his research and connect with communities who could benefit most from his findings. Abel is pursuing his Ph.D. in Environment and Resources from the Nelson Institute for Environmental Studies. He uses computer models to express the climate and air pollution-related health benefits of clean energy and the consequences of continuing to rely on fossil fuels. He was lead author on a report just published in PLOS that found the increased use of air conditioning might further degrade air quality and compound the toll of air pollution on human health. “I would hope that because of my work, clean energy will continue to grow not just as a cost-competitive, environmentally sound alternative to fossil fuels, but as a direct air quality and health management strategy which would provide a large range of substantial public health benefits,” Abel says. Thanks to GHI funding, Elsa Cardenas Canales, a Ph.D. candidate in the School of Veterinary Medicine, will be able to travel to Mexico for research. She is evaluating strategies for an oral rabies vaccination in vampire bats and trying to better understand social impacts in communities infected by this disease. Vampire bat transmitted rabies in Mexico is a burden to the livestock industry and a significant public health concern. Cardenas Canales’ project will be the first to access the feasibility and practicality of vaccinating free ranging vampire bats to prevent rabies. “The flexibility in the use of the resources granted by GHI to travel and do fieldwork internationally makes a big difference for my project, ensuring its accomplishment,” Cardenas Canales says. Krystle Campbell, simulation center manager of the UW Health Clinical Simulation Program, received a Visiting Scholar Grant to host Tewodros Haile from Addis Ababa University School of Medicine. 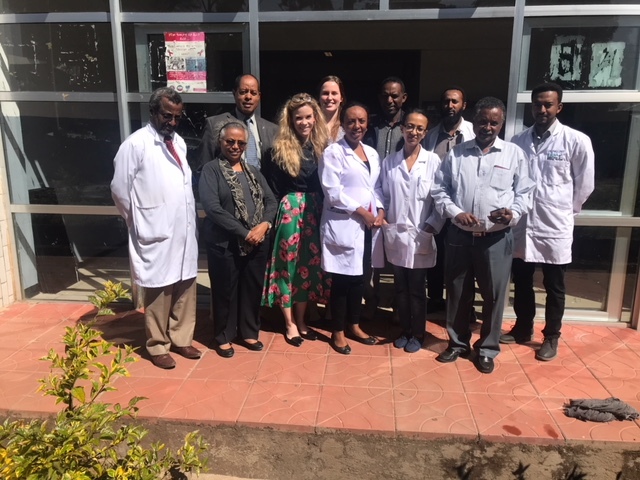 During Haile’s visit, UW Health will collaborate with Addis Ababa to demonstrate how simulation can be effectively integrated into medical educational efforts and quality assurance measures and support the improvement of patient outcomes. Krystle Campbell and Mary Kate O’Leary traveled to Addis Ababa University in February. Simulation is of great interest to developing countries because it fills a need to deliver effective education to growing medical schools, as is the case in Ethiopia, Campbell says. In many developing countries, medical schools are addressing the shortage of medical providers by expanding their class size. This increase, however, has left a shortage in bedside teaching opportunities and clinical instructors’ time for teaching. Since 2013, GHI has awarded 90 grants to projects across campus. GHI’s call for grant applications is usually issued in October or November with a submission deadline in February. Grants are awarded for the following fiscal year.